Sarah has one of our textbook-sized satellite BGAN units with her in Antarctica. With one of these units, she can use it to video broadcast into classroom from pretty much anywhere on the planet! Sarah is a marine mammal biologist at the University of California, Santa Cruz. She is fascinated by the variety of ways these animals have adapted to life underwater. 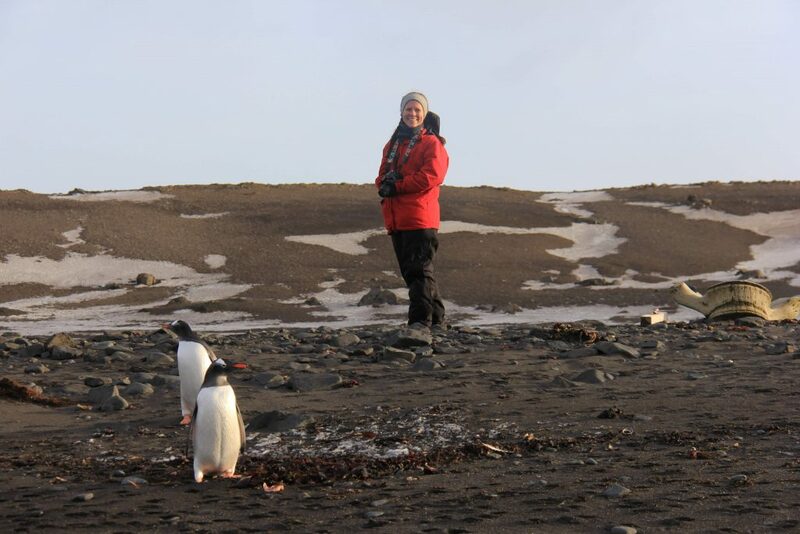 Sarah’s work has taken her to remote islands, to zoos and aquariums around North America, and, most recently, to Antarctica. She has spent more than her fair share of time covered in sand and seal poop, but she couldn’t be happier. She is currently in Antarctica studying leopard seals, a top predator in the Southern Ocean. Leopard seals play important roles in Antarctic ecosystem, but little is currently known about their basic biology. Sarah is part of a research team studying the ecology and physiology of these incredible animals and how they are responding to a rapidly warming Antarctica.